This magical, private OCEANFRONT home is not only featured on the cover of both “Better Homes and Gardens Quick and Easy Decorating” and “Second Home” magazine it is THE CLOSEST house to the Atlantic Ocean on Amelia Island!!! The home features three bedrooms and one extra-large spa-like bathroom with a private hot and cold shower downstairs. It's luxuriously appointed; every room has been professionally decorated and is complimented by being on the ocean at pristine Amelia Island and comfortably sleeps up to 6! Everything is provided from ironed linens, to beach towels, chairs, etc,.. Visit our home for a week and you may find yourself wanting to stay a month!!! Beach House Amenities - In the locked closet under the house you will find many beach-like things such as: beach chairs, surf boards, a hammock and many more things. There is also a shower if you want to rinse off before entering the house or if you just want to cool off. Please lock before retiring for the evening and when you leave the house. There is also a full laundry room to wash and dry your clothes as needed. This lovely beach house not only soothes the soul, it is fully equipped for every need so enjoy your stay. 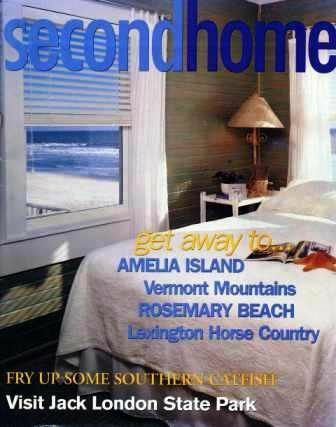 Amelia Island Amenities - Amelia Island is 'the' place to be. We are known as one of the top ten beaches in the world! We are a small island but we are full of lots to do. Not only do we have our share of five star restaurants, we have some of the best golf courses in the world. I grew up in Atlanta and have been visiting the island all my life! It is still as pristine as it was all those years ago! The memories are all wonderful and a lot of the island and the establishments are still here!!! My whole family visits again and again! We all can't get enough of our home and the island!!! It spoke to us as soon as we walked in! It needed a lot of TLC but there is something wonderful and calming about this lovely home! Not to mention, that is SO VERY CLOSE to the ocean!!! Our home is 'one of a kind' and never disappoints! The simplicity and the views and the possibilities made us fall in love with our home! We made all those dreams come true when we renovated our home roof to sand! We kept the integrity of our home; keeping the wood ceiling, walls and floors and bringing them back to their original beauty and added the modern conveniences. The views are magnificent everywhere in our home! The outside decks are breath taking! It's an incredible home and we love sharing it!!! 1 Large bathroom And an enclosed/private shower steps from the Beach!!! Built on the dune, right on the beach! On the sand overlooking the Atlantic Ocean! All towels and linens provided! Side by side with filtered water and ice cubes without opening the door. 2 decks!!! One for the sun lover and one for the shade lover with private hot and cold shower! WE do accept Credit Cards!!! If guests decide they don't want to go to a nearby spa, a massage/neuromuscular therapist can come to you! Please arrange with me in advance! My husband and I had a wonderful week at this cottage. It is right on the beach, with a great deck and a sunroom. Our room had views of the ocean from 2 sides. Marlee is a fantastic and generous host and there were many special touches throughout. She was very easy to communicate with. This was our 7th visit to Fernandina Beach and definitely our favorite vacation rental. I rented this cottage from 12/26/18 to 1/5/19 and absolutely loved it! It had everything I needed and could want in a beach cottage. Both decks were great for hanging out on - the upper deck for when I wanted sunshine and the lower deck for when I needed shade. It was an easy walk to the waters edge for morning and evening strolls. The internet connection was always available and easily met my needs. Marlee was great to work with and could not have been more warm and welcoming. The only drawback was how fast the days went by. I thoroughly enjoyed my time here and only wished I could have stayed longer. The house had everything we needed for a family vacation. Close to restaurants and shopping. This was the best stocked house we've ever stayed at. We loved all the high-quality towels and personal touches of the house. The view is fantastic and the kids enjoyed all the beach toys provided. It isn't really walking distance to anything, but that was fine for us. We prefer to just look at the isolated beach with just the roar of the ocean to entertain us. We did drive to a couple restaurants, the seaside bar is close by with outdoor seating in the sand and live music...we had a great time. The character of the house is hard to find in a rental property, it's more like you're borrowing a friend's place. We hope to return. OCEAN OCEAN OCEAN!!! THE BEAUTIFUL ATLANTIC OCEAN IS STEPS AWAY FROM OUR HOME!!! All holidays are the $397 nightly rate.